A great double from the new blogger on the block! Vaping advocacy involves getting across truthful messages,education and information about campaigns, but we have had very limited success so far in this. This is not a criticism,simply a statement of fact,that the ‘message’ is only heard by relatively tiny numbers of devotees inotherwords ‘preaching to the converted…. 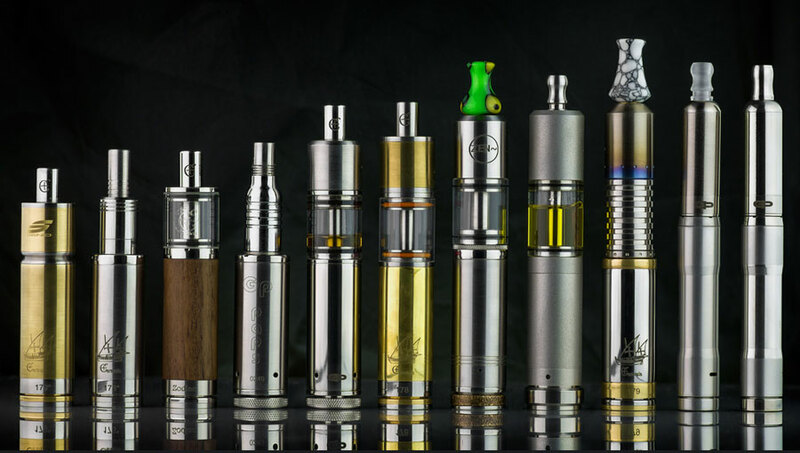 There’s an awful lot going on in the world of vaping right now. Plenty of shiny new mods to look at, like the Sigelei temperature control mod, there’s a new one coming from VaporShark and so on. I’ll admit to keeping an eye on what is coming after all I did suffer extensively from shinyitus in the early stages of my journey into vaping so I know all too well the attraction of a new shiny….. Think on that for a moment vapers.. So, fine, e cigarette vapour is not water – and it is not vapour either, it is an aerosol (or so I have been led to believe). But, getting straight to the point, Thales of Miletus would have had a great deal to say on the issue of vaping – but he’s dead now…. I’ve been tweeting and harassing people all day about this, and whilst I make no apology for that – I don’t think its been made clear what this latest in a long succession of petitions and requests for your hard earned cash is all about – so thought I’d summarise it here…. In a recent op-ed column printed in the Daily Record (Wooster, OH), U.S. Senator Sherrod Brown (D-OH) claims that the tobacco companies are peddling e-cigarettes to children, offering them flavors that include gummi bears, fruit loops, and sweet tarts. Further, he claims that the tobacco companies’ goal in marketing e-cigarettes to kids is to get them hooked on tobacco. Finally, he claims that e-cigarettes are a gateway to smoking…..
A safer way to smoke? However, nowadays smoking doesn’t actually have to be dangerous or unhealthy. The electronic cigarette, commonly known as the “e-cig” was developed by Hon Lik in 2003 to satisfy the need of smokers to inhale something into the lungs and get a similar relaxing feeling without the dangers of the 4,000 chemicals in traditional tobacco cigarette smoke…. The Department of Health in the United Kingdom has today released its consultation on the implementation of Directive 2014/40/EU (the TPD) in the United Kingdom. With Britain seen as a global leader in tobacco harm reduction thought and policy, this document sets a trend not only for the European Union, but will be read and digested in government departments across the world…. A group of MSPs want to know people’s opinions on legislation that would restrict the sale of e-cigarettes and create no smoking areas in hospital grounds. Holyrood’s health and sport committee are currently scrutinising the Health (Tobacco, Nicotine etc, and Care) Scotland Bill…. Tobacco addiction kills people, and vaping kills tobacco addition. 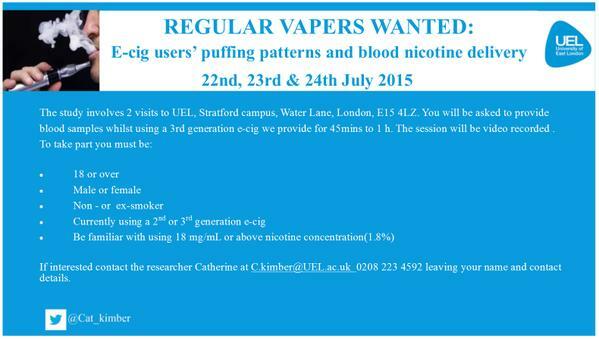 So why, OH WHY, are ecigs vilified by so called “health experts” the globe over? Gopal Bhatnagar founded a Toronto company that sells e-cigarettes and other vaping tools to customers across Canada and as far away as Pakistan. He also happens to be a renowned heart surgeon who is convinced 180 Smoke helps save people from the ravages of tobacco smoking…. A week ago I noted that the company’s website provides smokers with three grossly incorrect reasons to avoid e-cigarettes (here). As it turns out, elsewhere on the same site, Kaiser makes a reasonably good case for the harm reduction potential of smokeless tobacco….